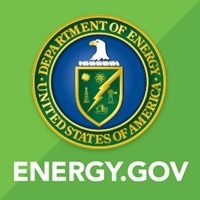 WASHINGTON, D.C. — (RealEstateRama) — The U.S. Department of Energy (DOE) selected up to $36 million in research projects that will advance solar energy’s role in strengthening the resilience of the Nation’s electricity grid. While fires, natural disasters, and cyberattacks can cause wide-spread power losses, even temporary disruptions in power quality can result in major economic losses. With more and more solar being added to the U.S. electricity generation portfolio, these projects will enable grid operators to rapidly detect physical and cyber-based abnormalities in the power system and utilize solar generation to recover quickly from power outages, in many cases without human control. The projects will develop new technologies, including: “grid-forming” inverters, cyber-secure communications for critical grid components during emergency operations, smart sensors, and automated control schemes. The research will culminate in grid management tools and models that show how solar situational awareness will enhance power system resilience at critical infrastructure locations such as hospitals or emergency response centers. These technologies will enable grid operators to integrate increasing amounts of solar generation onto the grid in a cost-effective, secure, resilient, and reliable manner.